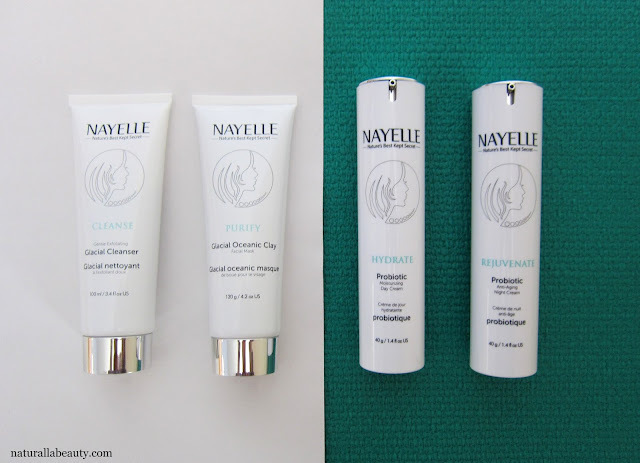 Nayelle Probiotic Skincare: Nature's Best Kept Secret? Most of us are familiar with dietary probiotics, but did you know that these same friendly bacteria also offer topical benefits for your skin? 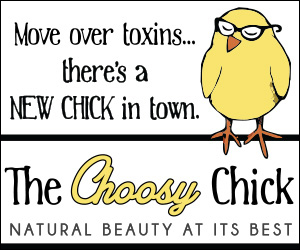 In the same way that maintaining healthy flora in the intestine is key for good health, maintaining healthy levels of good bacteria on the skin is important for effective barrier function and overall skin resilience, and can help with numerous skin conditions including acne, eczema and rosacea. 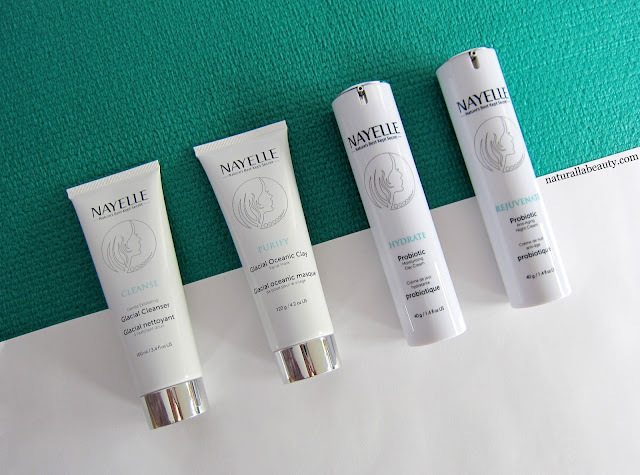 Nayelle Probiotic Skincare is a brand new Canadian skincare company that just launched this past November. The line, created by experienced biochemist Peter Jurkemik, focuses on melding scientific research and natural ingredients. In particular, Nayelle highlights four core ingredients: probiotic goat milk kefir, sea kelp, snow mushroom, and glacial clay. These four are combined with other great ingredients like aloe vera, jojoba oil, sunflower seed oil, and bamboo to create products that are both natural and effective. Nayelle is also Leaping Bunny approved cruelty free, gluten free, and 100% Canadian owned and operated. I had the chance to test out Nayelle's complete line over the last couple months, so I'm going to run through each of the products and my thoughts and experiences. Described as a mild cleansing cream enhanced with gentle exfoliating bamboo and glacial oceanic clay, the Exfoliating Cleanser feels very soft to the touch, but in fact offers a pretty thorough exfoliation. I actually find the exfoliation to be a little too intense for my skin on a daily basis, but I enjoy using it as an occasional product once or twice a week. The combination of purifying clay and finely milled bamboo adds a delicate grit to an otherwise creamy cleanser. It foams up slightly with water, rinses away cleanly and doesn't dry out the skin. FYI the cleanser does contain phenoxyethanol, if that's a concern for you. The remaining three Nayelle products are phenoxyethanol-free. 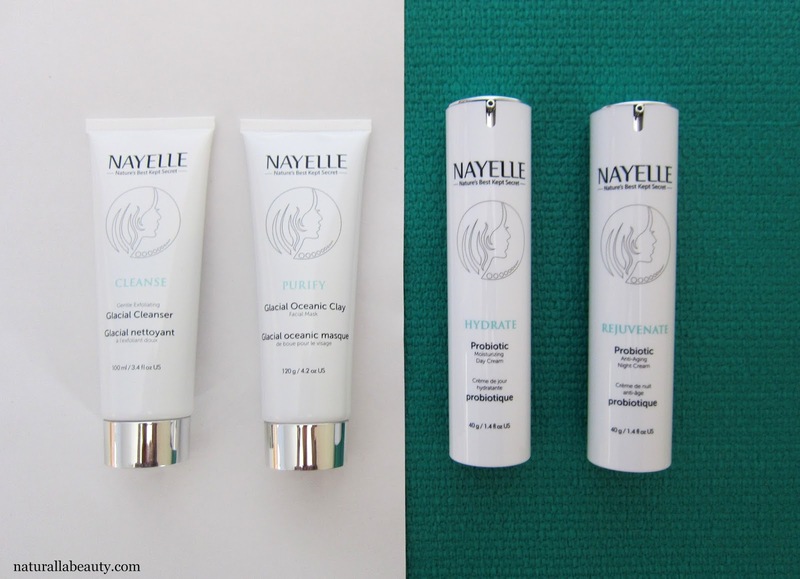 The two moisturizers are, in my opinion, the real stars of Nayelle's range. Both are creamy, moisturizing, and all around lovely, and combine the full fusion of Nayelle's four core ingredients. Tremella or snow mushroom is one of the richest plant sources of vitamin D and is an ingredient commonly used in Asian skincare. 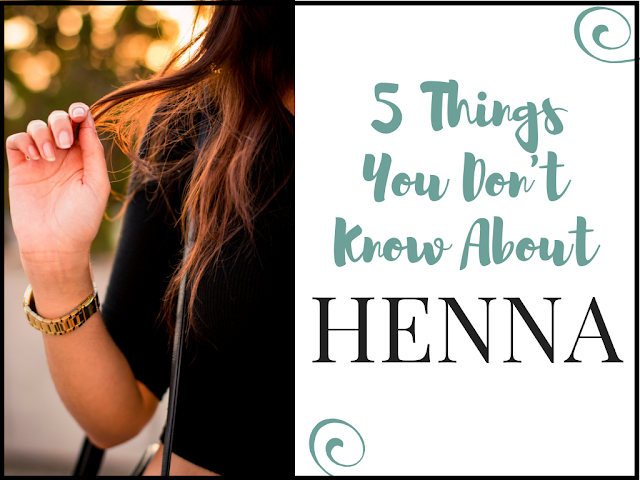 It draws water into the skin in much the same way as hyaluronic acid, but, with a smaller particle size, it's able to hold onto even more water and is also able to penetrate the skin more easily. Probiotic goat milk kefir contains beneficial bacteria that help strengthen the skin's natural barrier function, thereby helping skin hold onto moisture more effectively. Lactic acid and vitamin A found in goat milk also gently slough off dead skin and increase cell turnover. Sea Kelp is rich in antioxidants that stimulate collagen production and skin regeneration on the cellular level. Nayelle uses a fermentation process that concentrates the nutrients in the kelp and increases their bioavailibility so they can readily be absorbed by the skin. Glacial Oceanic Clay is a clay originally formed by the movements of glaciers over 14,000 years ago. It's harvested from the remote northern shores of British Columbia and is rich in over 60 minerals including iron, calcium, and magnesium. Clay not only exfoliates and purifies the skin, but also delivers nutrients and helps regulate oil production. Hydrate, Nayelle's day cream, is lightweight and sinks into the skin quickly. It contains additional lactic acid, beneficial for acne and hyperpigmentation, as well as anti-aging concerns like fine lines and wrinkles. Hydrate creates a fantastic moisturizing base that works well by itself and wears well under makeup too. Rejuvenate, Hydrate's supercharged night counterpart, is richer, but still silky smooth. It's intensely moisturizing but doesn't feel heavy on the skin. Both creams have a mild orange scent and leave my skin looking bright, plump and hydrated. I struggle with visible pores on my nose and cheeks and I noticed a difference within the first three or four days of incorporating this moisturizer duo. The pores were less noticeable and I found my skin looking just a little more perfected overall. I also love the airless pump bottles these two come in -- they look sleek on a vanity and also do a great job protecting the ingredients and keeping the products fresh. 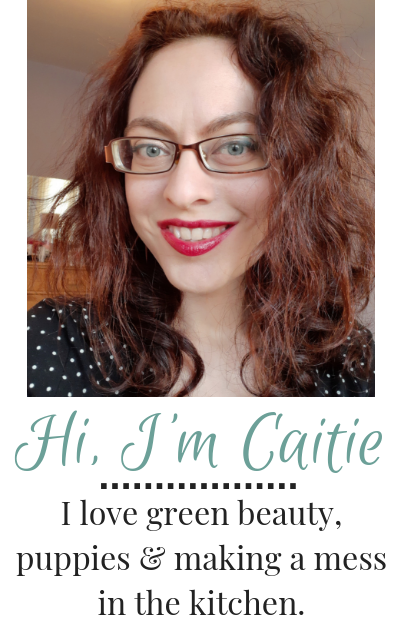 Most of my face masks are dry powders that require mixing, so Purify, which is ready-to-go in a tube, is fantastic for when I'm a little shorter on time. The main ingredient is, of course, glacial oceanic clay, with a few other additives to keep it moist and creamy. 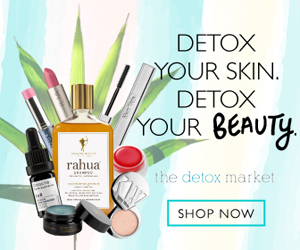 It goes on easily, dries within eight or ten minutes, and does a good job detoxifying the skin and pulling any unnecessary junk out of your pores. The mask leaves my face looking bright and healthy and doesn't overly strip or dry out the skin. Like the rest of the Nayelle line, it features orange essential oil and smells lightly citrusy, though my nose also picks up some earthy/oceany notes from the glacial clay. The two probiotic moisturizers, both made with all four of Nayelle's core ingredients, were the main standouts for me, but I do like the line as a whole too. Cleanse is a nice exfoliating cleanser, although I prefer it more as an occasional scrub than an everyday face wash, and Purify is a good gentle detox mask. If you're interested in making a purchase, definitely take advantage of Nayelle's end of the year sale, on now through December 31. 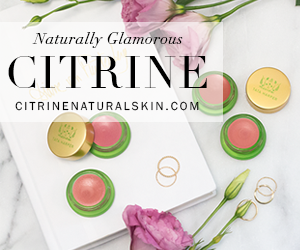 Everything is discounted (individual products + the complete regime), plus get free shipping within Canada and the US. This line sounds incredible. I'll have to try it out ASAP!